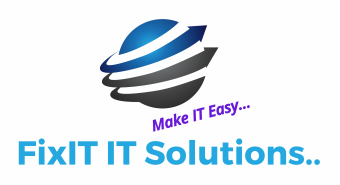 FixIT IT Solutions was established in 2006, we specialize in developing tailored IT solutions for small to medium businesses offering the highest quality service and support. Our passion for solving the IT problems of business and individuals remains. We have knowledge and expertise in IT infrastructure projects including Server Installation and Network Setups, IT support and IT services. We provide IT support and IT services to small to medium sized businesses via our remote support help desk and onsite IT support engineers. We also provide enterprise IT solutions to companies and remote hands IT support to existing (internal or outsourced) IT departments. FixIT is an information and communications Technology(ICT) provider. We aim to provide a professional service to any small or medium sized enterprises. We ensure you have the best and the latest computer advances to support your home/business. We constantly strive to improve ourselves, the products we offer and our ability to deliver excellent service to our customers. We don't set out to be the biggest, but we do aim to be the best. ​FixIT IT Solutions is an IT solutions provider offering flexible and efficient services to small and medium sized businesses across Ararat and Wimmera Region. In this age of technology, business relies more and more on It systems working around the clock. As a Microsoft​ Certified Systems engineers and small business specialist FixIT IT Solutions offers a massive reduction in the risk of downtime, provides expanded business IT networking systems and peace of mind to concentrate on core business activities. Our mission is to bring small, medium or any businesses and organizations the same standard of technology as that the top end of enterprises enjoys. We deliver support based on the latest technology, new level of flexibility and reliability.Whether you require assistance with the installation of hardware peripherals or resolutions of complex computer networking configurations, we provide the highest quality in onsite or remote IT support and computer services in Ararat and Wimmera Region. We have talented IT Experts who can provide revolutionary and Integrated technology solutions so that your organization can have safest and fastest accessible computer networks and managed business IT services.